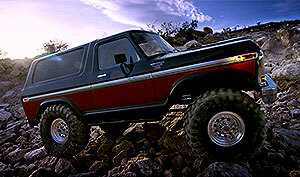 The Traxxas TRX-4 Ford Bronco sets the standard for scale appearance out on the trail. The new LED Light Kit (#8035) takes scale realism to the next level with working headlights, tail lights, and side markers. 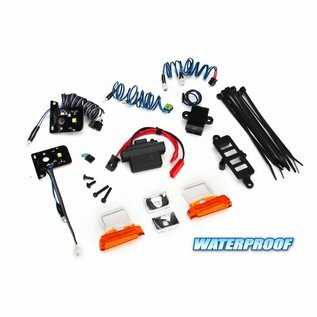 Fully waterproof and built Traxxas-Tough, the LED light kit is ready for your wildest adventures. 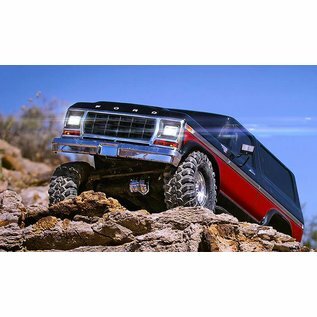 No matter where the trail leads, day or night, the TRX-4 Ford Bronco will blaze a path. 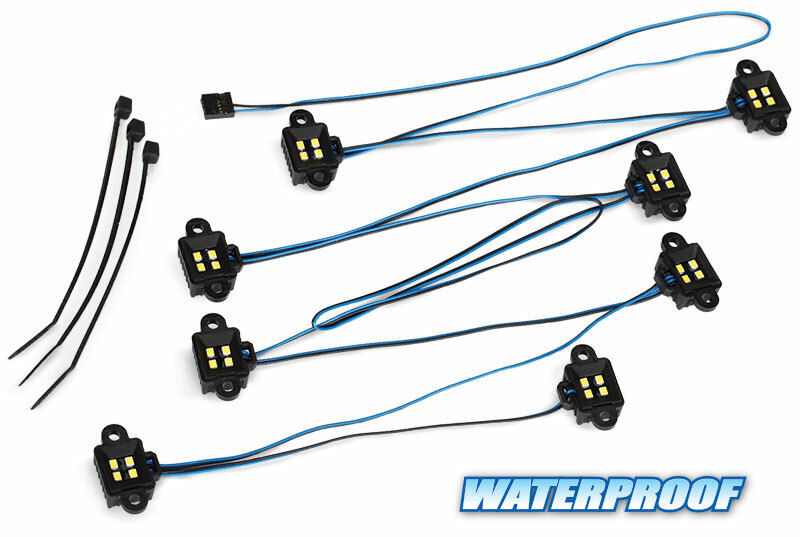 The TRX-4 Bronco LED Light Kit uses the same #8028Power Module as other TRX-4 light kits. 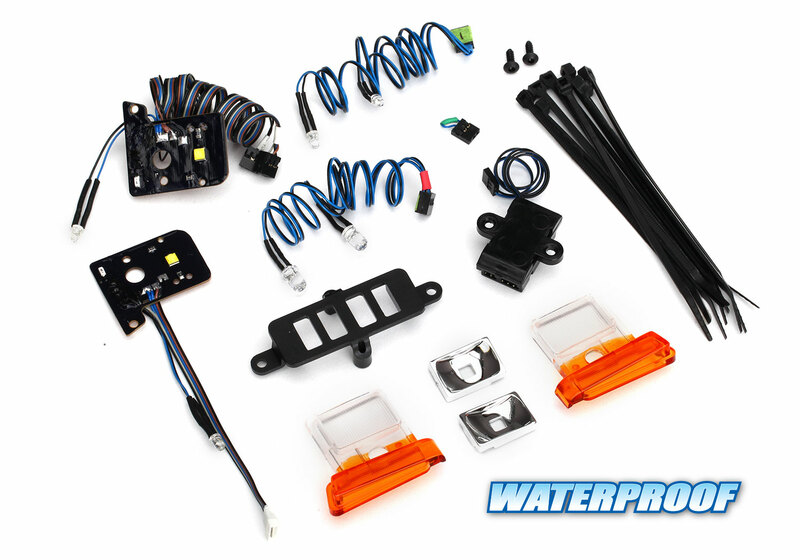 The #8036LED Light Kit provides a cost-effective solution to add lights to the TRX-4 Bronco by reusing the power module from previous installations. 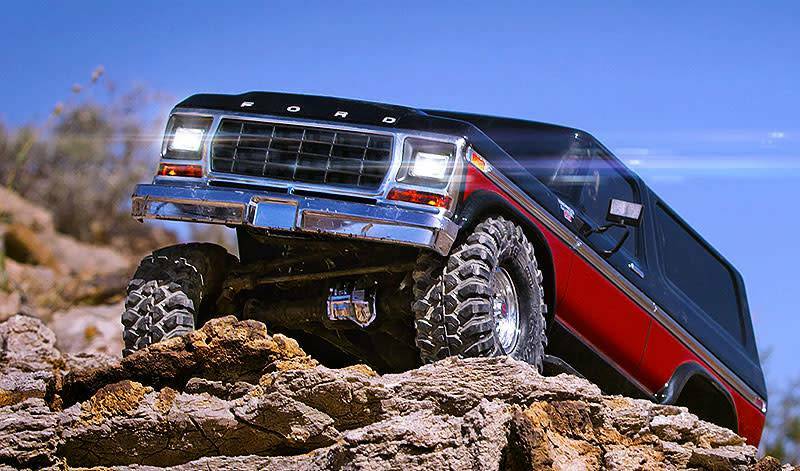 Traxxas LED Rock Lights #8026 install directly into the inner fenders and are positioned to help illuminate obstacles for trouble-free nighttime crawling. 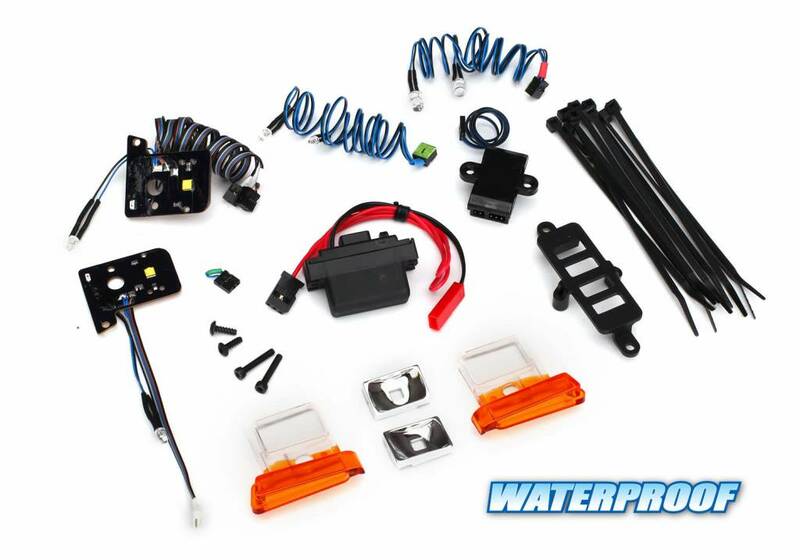 The kit includes two LED modules per wheel, ensuring a flood of light throughout the underside of the truck. Down lighting in the wheel wells combined with the headlight/taillight kit make it easy to see the orientation of the vehicle in the dark.